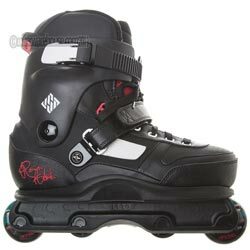 leather and real leather skin, creating additional support across the skate and softening the overall look of the skate. The skate comes as standard with our premium liner, the MYFIT Roman Pro, a liner packed to the brim with features. Our premium quality aggressive skate for one of the best park skaters in the world.